Just For Laughs Australia Season 6 begins Thursday January 10 at 8:30pm AEDT on The Comedy Channel and available to customers On Demand. 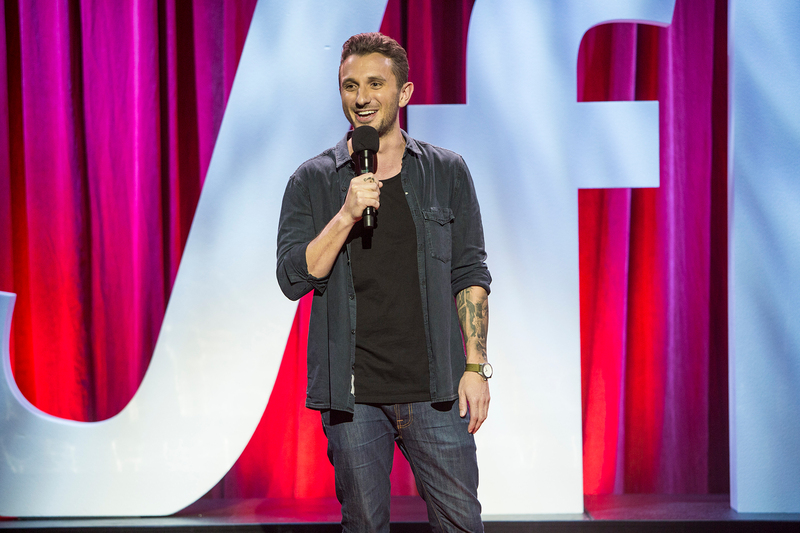 A must-watch for fans of original Australian comedy, Just For Laughs Australia Season 6 will be hosted by Tommy Little, and feature comedy favourites, Matt Okine, Rove McManus, Becky Lucas, Peter Helliar, Cal Wilson, Troy Kinne, Fortune Feimster, Nazeem Hussein, Nikki Osbourne, Steve Byrne and Reggie Watts as well as performances from stand up superstars Colin, Brad and Greg from Whose Line Is It Anyway?. The Just For Laughs Comedy Festival 2018 is held at the iconic Sydney Opera House from November 19 – 25 featuring a range of different acts and world-class comedians appearing throughout the festival. “These shows are basically just me hosting a party with the best comedians from all around the world. Like all parties, it’s great times, it’s hilarious and someone usually hits the midori illusion shakers too hard and spews out the back,” said Tommy.